Where in South Africa to find pick your own farms and orchards for fruit, vegetables, pumpkins and canning & freezing instructions! 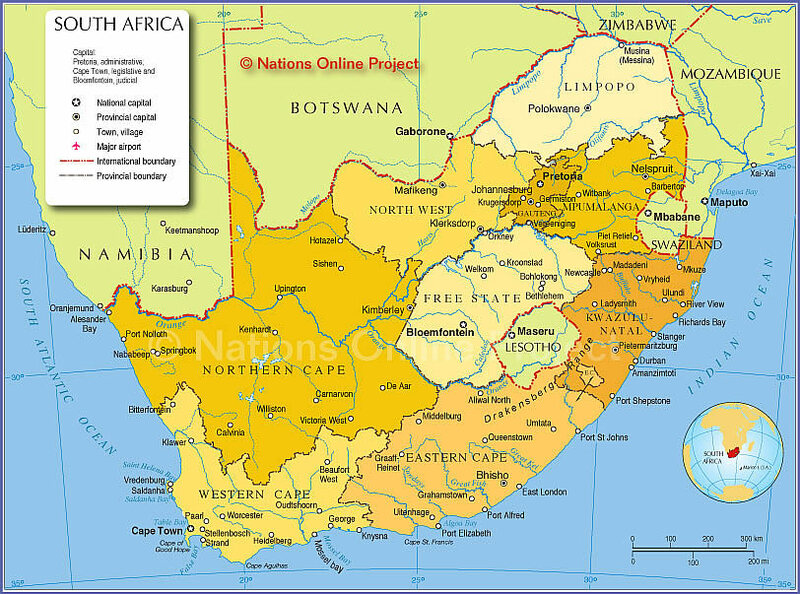 South Africa; Pick your own farms and orchards for fruit, vegetables, pumpkins and canning & freezing instructions! Looking for South Africa; Pick your own farms and orchards in 2019? Scroll down this page and follow the links. And if you bring home some fruit or vegetables and want to can, freeze, make jam, salsa or pickles, see this page for simple, reliable, illustrated canning, freezing or preserving directions. There are plenty of other related resources, click on the resources dropdown above. None found in this province yet. Nassau Farm, Ficksburg, Freestate 9730. Phone: 051-933-2828. Fax: 0519241011. Email: [email protected]. Open: Call for Hours. Directions: Click here for a map and directions. Payment: Cash, Cheque, Debit cards, Visa/MasterCard, Discover, AmEx. R513, De Wildt Road, Next To 119, De Wildt, Gauteng 0251. Phone: 071-843-8185. Email: [email protected]. Open: Mondays to Fridays from 07:00 (winter) to 16:00 (winter) Mondays to Fridays from 06:00 (summer) to 15:00 (summer) Saturday (by appointment only) 07:00 to 12:00. Directions: B4 highway towards Eisenberg, take GA-Dankie off ramp. Turn left on M17. Tracker for approximately 8 km, turn right onto R513. Travel for 12 km, farm on right , next to 119. Name Norad on gate: Elena Skadugras. Click here for a map and directions. Figs - November to April [depending on the season] Tomatoes year round (according to crop rotations). Payment: Cash, only. 21 The Glen Road, Johannesburg, Gauteng 2090. Phone: 083-595-5216. Email: [email protected]. Open: as of the 23 December 2010 at 09:00am and closes at 14:30 daily except for Saturdays and Sundays. Directions: call for these, please. Click here for a map and directions. Current veggies available December 23 to January 2. We do not use pesticides on the crops. Payment: Cash, only. If you want good colour and quality, please visit us. 13c ,frans Korb St, Oatland,, Krugersdorp, Gauteng 1739. Phone: 074-134-3023. Email: [email protected] . Open: 7 days a week from 8am to 5pm. Directions: We use natural practices, but are not yet certified Organic. Payment: Cash, only. Walkerville, Gauteng, South Africa 1876. Phone: 27 79 719 0793. Email: [email protected]. Open: 9AM to 12AM. Field Berry Farm is a Raspberry Farm situated in the South of Joburg. We have berry picking during raspberry season & sell frozen berries & berry products all year. Directions: Click here for a map and directions. We have berry picking during the raspberry season and sell our jams, syrups, vinegar and frozen berries all year. Also, outside of the raspberry season, they are open the 1st WEEKEND of every month on Sat & Sun 11 am to 4 pm, StartingMay, for EVENTS or just to RELAX, No raspberries, but good, wholesome country FUN!! Please check updates on their website, and Facebook. Click here for a link to our Facebook page. 327 Rietkuil Rd Uitkyk, Nigel, Gauteng 2193. Phone: 072-032-7658. Email: [email protected]. Open: Monday - Sunday 07:00 am to 18:00. Directions: From Nigel Take the R550 Road also known as Devon Road Pass a farm butchery on your right Pass Hallgate Then on your left lookout for a board that shows you directions to Devon and Rietkul Take the Rietkuil Rd Travel for approximately 3km on your let, lookout for a gate with red pillars and the number 327. Click here for a map and directions. Green Pepper:February 25 to May 01. Payment: Cash, only. Vivo, Vivo, Northern Province 0924. Phone: +27836771789. Email: [email protected]. Open: Monday to Saturday 7am to 6Pm. Directions: Please Call for directions. Click here for a map and directions. all year 7am to 6pm. Payment: Cash, only. Modderspruit Farm 23 Kilometers From Graskop, Graskop, Mpumalanga 1270. Phone: 0137671838. Email: [email protected]. Open: 15 December to 5 January Monday to Saturday 8am to 5pm Bookings is preferred. Directions: From Graskop 23.3 kilometers on the R533 turn left at big white wall and continue 2 kilometers on the gravel road (good condition but slippery when wet)Look out for the Terebinte Berry Farm name boards. Click here for a map and directions. We do not use pesticides on the crops. Payment: Cash, only. Upington, South Africa 88001. Phone: +27825708400. Fax: +27543312346. Email: [email protected]. Crops are usually available in January, April, May, June, November, December. Open: Monday to Friday, 8 am to 7 pm, Saturday and Sunday, 7 am to 5 pm." Payment: Cash, Check. Portion 6 Of Farm Rietvaly, Groot Marico, North West 2850. Phone: 0833740301. Email: [email protected]. Open: Everyday of the week from 7am to 5pm. Directions: From Zeerust take old Koster road, drive approximately 30km, after crossing (Groot Marico/Lichtenburg), farm is on left hand side (2 big palm trees next to road). From Groot Marico on N4 approximately 15km turn left at Rietvaly sign, drive straight (tar road becomes gravel road) until you get tar road with stop sign, turn left farm is 500m from stop street on left hand side (2 big palm trees next to road). Click here for a map and directions. We do not use pesticides on the crops. Payment: Cash, only. Baby marrows, spinach, cabbage, chillies, variety of pumpkins, butternuts,. S46 on the R560 near Hartbeespoort Dam, Skeerpoort, North West 0232. Phone: 082-503-5996. Fax: 088 012 207 15. Email us at: [email protected]. Directions: from Johannesburg along the R512: Take the Hans Strydom Road at Randburg (R512) and head North (away from the city). Continue along this road past Lanseria to the T-junction at Broederstroom (Thatched T-junction Farm Stall in front of you). Turn left and continue travelling straight on this road for 18 kms, past Pecanwood Estate, straight past the Sun City/Brits turnoff at the end of the Hartbeespoort Dam, to the R560 T-junction. Turn left at this T-junction into R560 (Krugersdorp, Magaliesberg) - van Gaalen's Cheese Farm will be on your right. Continue for 1,2 kms, past the Laerskool Skeerpoort on your left. Turn left onto TANGAROA Farm. (Large white walls with painted Strawberries) . We are open September, October, November, December. Our hours are: Open for the Public on Saturdays, Sundays and Public Holidays 8am to 5pm. For School and Group Tours - Weekdays by appointment. Late September to mid- December Payment: TANGAROA The Strawberry Farm specialises in Pick Your Own ORGANIC STRAWBERRIES, Weddings, Functions, Picnics - Candlelight Picnics being Popular - and Guest House Accommodation. Picturesque Dam with Ducks and Geese. Animal Farm, Arts & Crafts shop. Home-made Jams and the best Naartjie Marmalade available. Klein Helderberg Road, Cape Town 7129, South Africa. Phone: 021 8554308. Email: [email protected]. Open: 7 days a week from: 08h00 to 17h00 (winter and summer); Closed on Good Friday and Christmas day. Click here for current open hours, days and dates. Directions: R44, Between Stellenbosch And Somerset West. Click here for a map and directions. Payment: Cash, only. P.O. Box 170, Ceres, South Africa 6835. Tel. (023) 3121521 Fax. (023) 3122877. Email: Click here to email the farm. Directions: The farm is situated 35km outside Ceres. Click here for a map and directions. 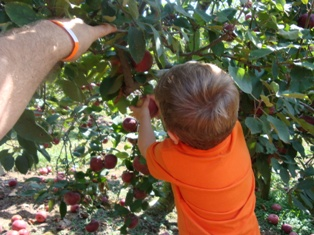 Pick your own cherries from mid-November to beginning of January at Klondyke Cherry Farm. A small entrance fee is charged, and visitors can pick and eat to their heart's content. Open: Cherry time is last week November till end December, 7 days a week from 8.00 am to 16.30 pm until the end of December, but will be closed on Christmas Day. For up to date information please phone us. You are welcome to spend the day here and picnic or braai in the shade of the pine trees. This year the entry fee is R12.00 per person to come in for the day, and the price for the cherries that you pick is R32,00 per kg. Please note we do not have credit card facilities here on the farm. Remember to bring a warm top or jacket with you as the wind can be very cold up here, even in summer. Strand Road, R44, Stellenbosch, South Africa. Telephone: +27 21 881 3222. Email: [email protected]. Directions: Located on the R44 between Stellenbosch and Somerset-West. Open: 08:00 - 18:00. Prices are based per kilogram depending on how much you want to pick. The per kilogram price varies per season. Call to verify availability. This is a well known landmark in the Stellenbosch area. During strawberry season (October - December) you may pick your own strawberries on Saturday afternoons and Sundays, all day. The farms are attractive, with a huge display of native art scarecrows! The humour injected into the scarecrows always draws a smile! Polkadraai Road (M12), Stellenbosch, Western Cape 7603. Phone: 021-8813854. Fax: 021-8813015. Email: [email protected]. Open: Pick your own: Monday to Sunday, from 9am to 4pm September 1 to December 31 Farmstall hours: Monday to Sunday, from 9am to 5pm Closed: Good Friday, Christams Day, New Years Day. Click here for current open hours, days and dates. Directions: Located on the M12 highway between Stellenbosch and Kuilsriver. Turn off at exit 33- Baden Powell Drive, turn left towards Stellenbosch +/- 6 km. Turn left at Vlaeberg Rd... Drive to the end. Click here for a map and dire ctions. Payment: Cash, Debit cards, Visa/MasterCard. 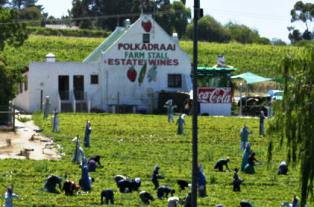 Polkadraai is renowned for the annual event of "Pick Your Own" strawberries. The berry fields display an attractive and humorous array of scarecrows to entertain children of all ages. The season commences in October and, weather permitting, goes on into January. The farm stall is extensively stocked with a variety of gifts and novelties, and homegrown vegetables and fresh fruit are available throughout the year. Estate wines is also sold. Click here for our Facebook page. Arouna Berry Farm - Pick your own berries. Also an herbal vinegar cellar, jams and mustards for sale. Telephone: +27 (0)21 864 2151. That's all the information I could find about them. Hermitage Valley - N6, Swellendam, Western Cape 6740. Phone: 082 4218 555. Fax: 028 514 2255. Email: [email protected]. Directions: From Mainstreet (Voortrekstr.) in Swellendam, Turn off at stopstr. into Andrew Whitestr. towards the mountains. From that stopstr. opposite OK Grocers it is only 2,5km straight to the BERRY FARM - SGAF. Past the Golf course, no turn-offs, on the left. Click here for a map and directions. Crops are usually available in January, November, December. Open: Monday to Saturday, 8am to 2pm Blackberries , Youngberries: Beginning November - Middle December Blueberries; December - Januarie. Station Road, Calitzdorp, Western Cape 6660. Phone: 044 - 213 3314. Fax: 044 - 213 3562. Email: [email protected]. Crops are usually available in February, March. Open: Monday to Friday, 8 am to 5 pm Saturdays, 08 am to 4 pm Sundays closed Hanepoot grapes: 16 February - 12 March 2008 @ R3.50/kg Payment: Braaivleis lunches on Wednesdays and Saturdays @ R39 per person. Bookings essential. Hillcrest Berry Orchard - Prepicked fruit only! P.O. BOX 2091, Dennesig, Stellenbosch, South Africa. Phone: 021-885-1629. Email us at: [email protected]. Comments from a visitor on November 28, 2008: "THIS IS NOT A PYO FARM BUT THE FRUIT CAN BE BOUGHT AND THE SURROUNDINGS ARE BEAUTIFUL"
Geelhoutboom, Blanco, George, Garden Route. Phone: +27 (0)44 870-123. Email: [email protected]. Open: Mondays to Saturdays 09H00 until 16H00 and public holidays except for Christmas & Good Friday. Directions: The Red Berry Farm is situated just outside George on the road going towards Blanco. click here to find us on Google Maps. They also have a Tea Garden for group tours, birthday parties and sit down lunches and teas. The farm has views of the majestic Outeniqua mountains. Click here for our Facebook page. South Lane Hermitage Valley, Swellendam, Western Cape 6740. Phone: 028 5143132. Fax: 028 5143100. Email us at: [email protected]. Directions: Travel on the N2 to Swellendam. At Swellendam, take the Ashton, Robertson, Worcester turnoff(R60)off the N2. Traveling in the direction of Ashton, proceed over the four-way stop and continue until you see the Hermitage Valley signboard to your right. Turn right and then take the first left (dirt road signposted Hermitage). Farm is 700m along on the left hand side (Wildebraam). Phone 028 5143132 for faxed map. We are open All year. Our hours are: Monday to Friday:8am-5pm. Saturday: 8am-1pm Sunday: By appointment Youngberries: Nov & December Blackberries: Nov & December Frozen Berries all year Wildebraam has a private cellar producing a range of liqueurs viz; Youngberry, Honey, Fennel & Rooibos. Visitors are welcome to sample liqueurs and our range of berry products (vinegars, syrups, jams, chocolates) in our farm shop "Berried Treasures". A function venue and guest houses will be available in 2005. Klaassens Road, Wynberg Park, Wynberg, SA 7708. Phone: 021-761-0434.Open: Daily 9.00am to 4.30pm. Pick your own roses, R4.00 per rose (2010 prices). There is also a coffee shop with views of the valley and mountains and other farm produce such as grapes, honey, etc. 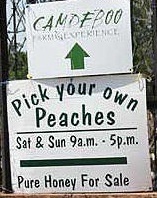 Offers pick-your-own grapes in season. De Doorns Wine Cellar lies 8km from Worcester. The cellar makes red, white, sweet wine and grape juice. The cellar is 40 years old, and has fared well in the Veritas and Young Wine Shows over the past couple of years. Aan-De-Doorns Co-op is famous for its Port, which has also been awarded several awards. De Doorns is open weekdays and half-day on Saturdays for wine tasting. Cellar tours are offered by appointment. Wellington, South Africa. Visitors to De Slange Rivier Berry farm can pick their own berries in season. There is also a mustard and vinegar factory, which produces condiments for export, on the farm where visitors can taste the range of mustards, salad dressings and other condiments. Open Monday to Fri: 09h00 - 17h00, Saturday: 09h00 - 13h00. NOTE: They appear to be closed; their phone number now goes to a private residence. Does anyone have more information, like a phone or email address? If so, please write me! Tel: (021) 864 2151. R44 - Strand Road, between Stellenbosch & Somerset West, New Zealand. Tel: (021) 880 1700. Pick your own strawberries from October till the end of December, any day between 09h00 and 17h00. Vivo, Vivo, Northern Province 0924. Phone: +27836771789. Email: [email protected]. Open: Monday to Saturday 7am to 6Pm. Directions: Please Call for directions. Click here for a map and directions.. all year 7am to 6pm. Payment: Cash, only. Nassau Farm, Ficksburg, Freestate 9730. Phone: 051-933-2828. Fax: 0519241011. Email: [email protected]. Open: call for hours. Directions: Click here for a map and directions. . Payment: Cash, Cheque, Debit cards, Visa/MasterCard, Discover, AmEx. R44, Between Stellenbosch And Somerset West, Stellenbosch, Please choose one of the following... 7129. Phone: 021 8554308. Email: [email protected]. Open: 7 DAYS A WEEK From: 08h00 to 17h00 (winter and summer); Closed on Good Friday and Christmas day. Click here for current open hours, days and dates. Directions: Click here for a map and directions. Payment: Cash, only. Visitors can expect to encounter indigenous wildlife on the farm. The fish eagle's cry is regularly heard, blue crane pass over head on their way to Caledon and the Overberg and cape clawless otters leave their characteristic prints in the mud. You may even come across the tracks of the cape leopard. Visiting birdwatchers have sighted over 100 different species of bird. The farm is home to one of the biggest Mountain Candlewood trees in South Africa which is easily accessed from the hiking trail. Modderspruit Farm 23 Kilometers From Graskop, Graskop, Mpumalanga 1270. Phone: 0137671838. Email: [email protected]. Open: Available through out the year! Bookings essential. Directions: From Graskop 23.3 kilometers on the R533 turn left at big white wall and continue 2 kilometers on the gravel road (good condition but slippery when wet)Look out for the Terebinte Berry Farm name boards. Click here for a map and directions. We do not use pesticides on the crops. Payment: Cash, only. A beautiful outdoor and primitive setting! Completely in touch with the rawness of nature! Very little mobile reception and cut-off from the rush of the busy city life. Modderspruit Farm 23 Kilometers From Graskop, Graskop, Mpumalanga 1270. Phone: 0137671838. Email: [email protected]. Directions: From Graskop 23.3 kilometers on the R533 turn left at big white wall and continue 2 kilometers on the gravel road (good condition but slippery when wet)Look out for the Terebinte Berry Farm name boards. Click here for a map and directions. Payment: Cash, only. Two unique cottages for self-catering available! With 4 beds per cottage! R200 per person per night. Photos: Click here for photos of the rooms and farmhouse.